This collection contains 24 patches/channel strips for MainStage/Logic Pro. No external plugins required. 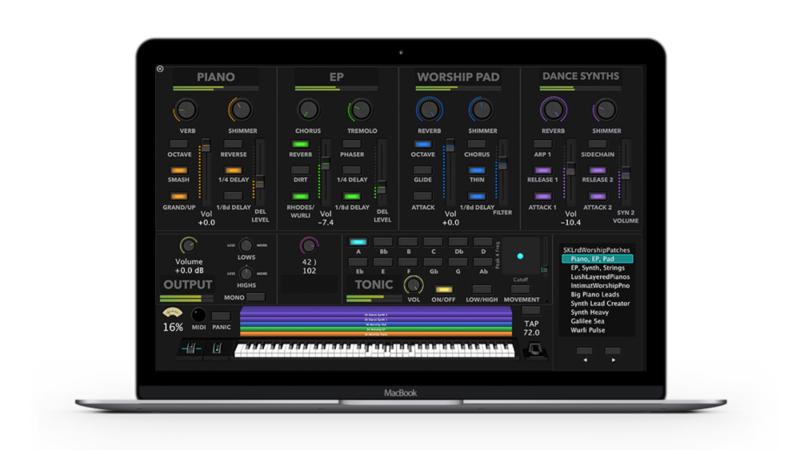 These patches will open in any MainStage concert or Logic project and have been pre-mapped to open within our Sunday Keys MainStage Template, where you get additional tweaking and parameter control options. MainStage: BPM relies upon MainStage's sound library content. Make sure you have the full sound library installed if you notice a patch that sounds incomplete or different than the demo.